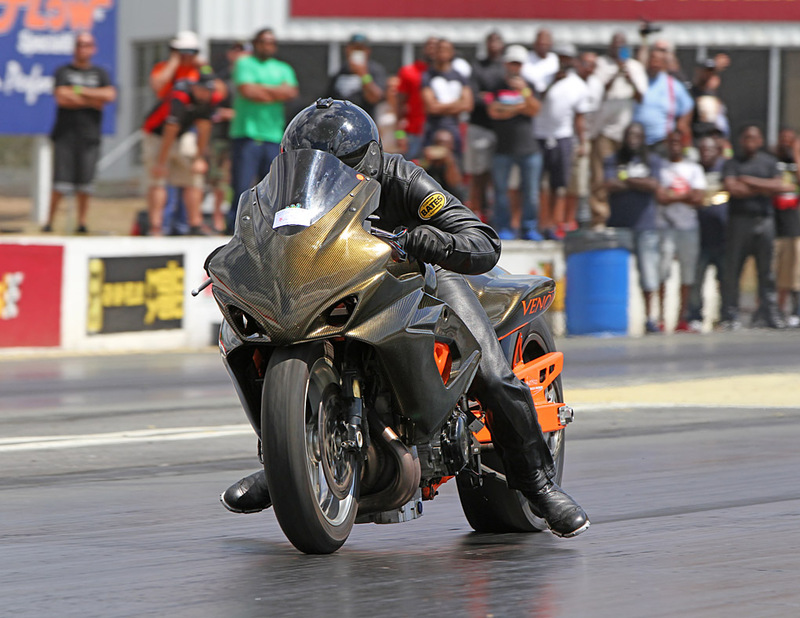 Top Gas gets NHDRO’s Big Money treatment when the Midwest’s largest motorcycle drag racing series returns to Lucas Oil Raceway just outside of Indianapolis, Indiana, for the Performance Racing Products Showdown in Naptown. 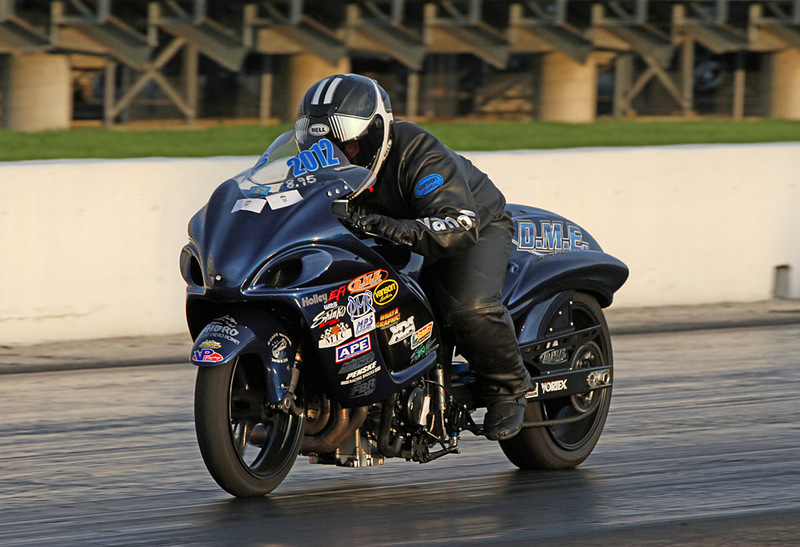 NHDRO is paying $4000 to win—sure to draw every ambitious 8.20 index racer east of the Mississippi and then some. 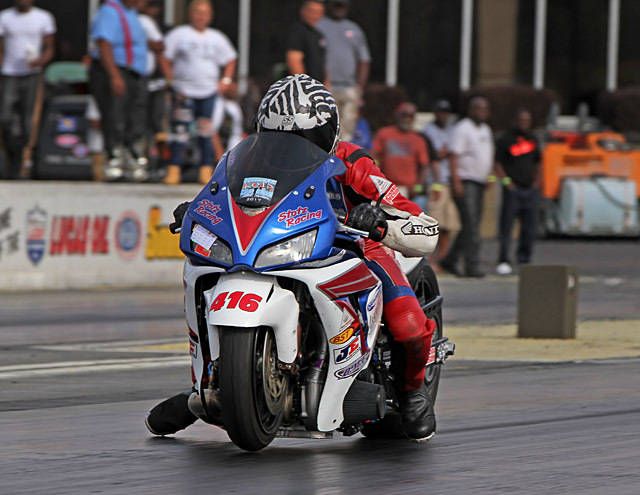 Points leader Jeremy Teasley will have his uncannily fast Suzuki Hayabusa streetbike set up for its characteristic top end charge. But he’ll have to fend off Heath McQuinn, Deadly Dustin Lee, Bradley Shellhaas, Jeremy England, Mike Hall, Doug Fisher, St. Louis Top Gas Killers “Kounselor” Kenny Schwartz, Heather Baldi, and Mike Wagner, Joe “Big” Deck, and many more when racing gets underway at the legendary Brownsburg speed plant. 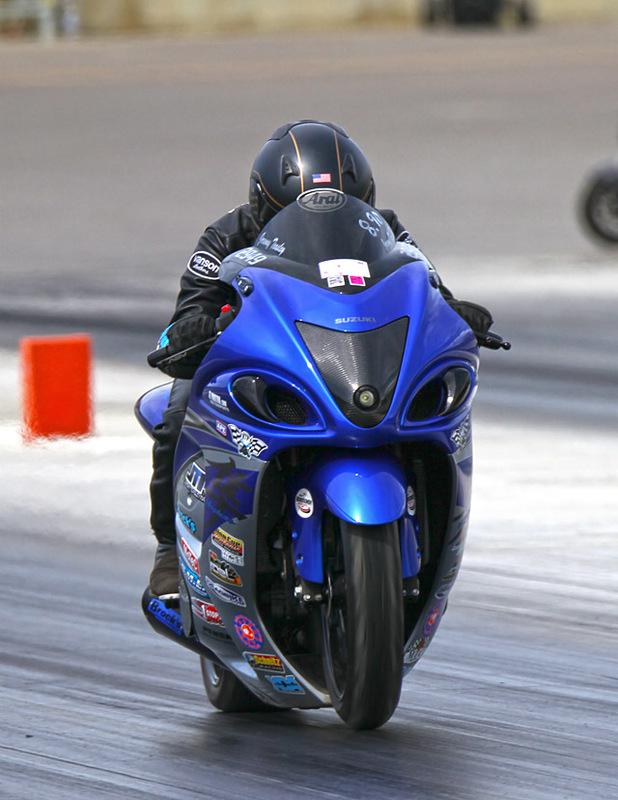 REALLY Big Money is available in Performance Racing Products Grudge if the bikes show up to race for it. 32 bikes with a $500 entry fee will run for 25 large. 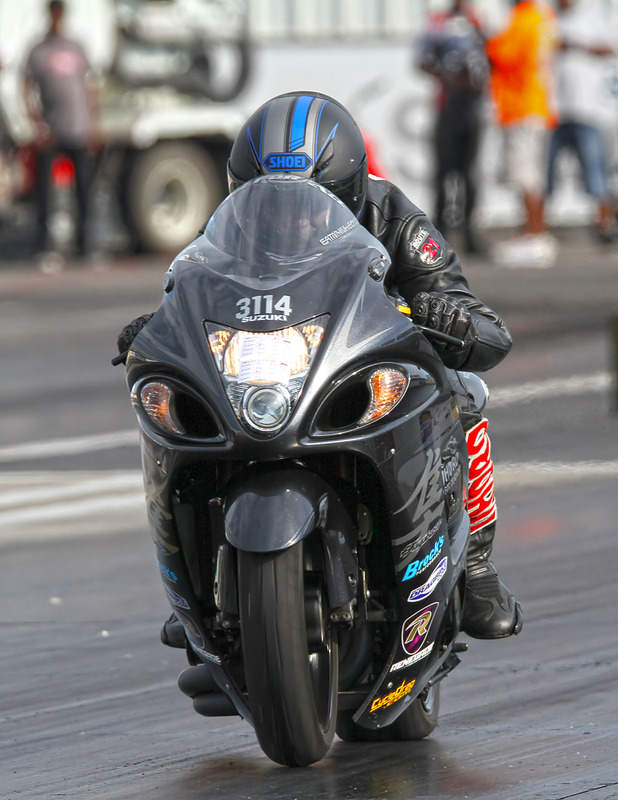 Any smaller field will see 100% payout PLUS whatever NHDRO determines to pay based on how many bikes are in. But you can’t win if you aren’t there. Keith Dennis will be there, shouldn’t you be too? 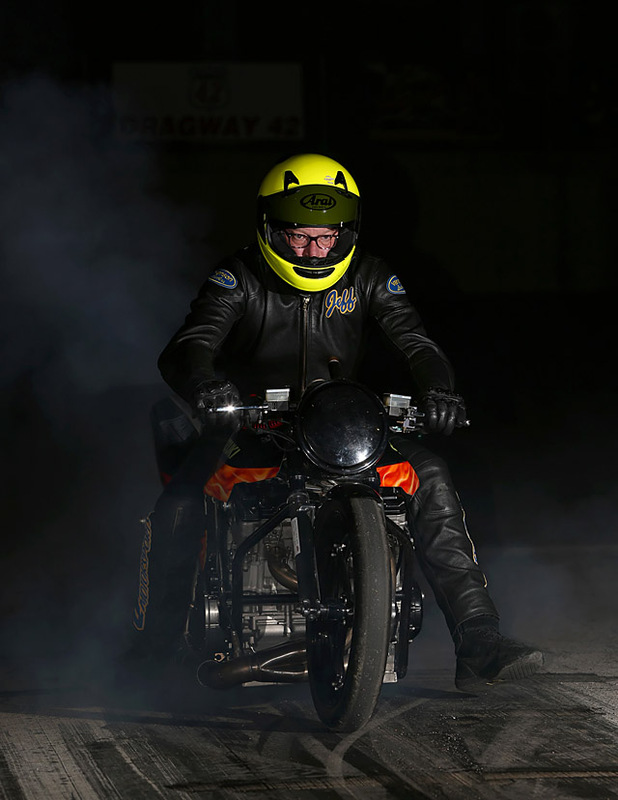 Atlanta and Indy winner Frankie Stotz has a substantial points lead on his Honda in McIntosh/Grayson Machine & Fabrication Pro Street—the world’s quickest streetbikes. 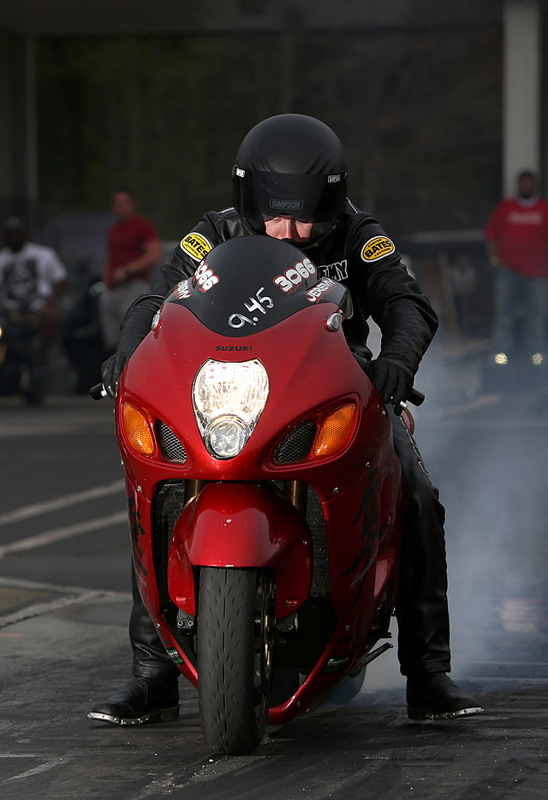 He’s followed by Ohio winner Luis Hornedo, who rides Ronnie Mitchell’s Detroit-built “Apollonia” turbocharged Suzuki Hayabusa. Third is former champ Doug Gall, followed by the Quicktime Motorsports bikes of Rudy Sanzottera and Brad Christian, Gateway winner Gaige Herrera, Chris Klassen, and Gabe Frederick. Pro Open champion Chris Cutsinger is tied with Ohio winner Perry Paugh. Ron Maddox, Brad Messer and more will be putting up a fight—maybe even long-lost Scott Proctor will show his race face as well. Quicktime Motorsports/Lindeman Performance Pro Ultra 4.60 sponsor Jeff Lindeman leads the world’s quickest motorcycle index class, followed by Ohio and August Indy winner Jimmy Muntain, stylish Les Stimac, veteran racer Johnny Bond, Gateway winner Dan McCarten, and Atlanta winner Mike Thyen. Jeremy England carries the Penske Racing Shocks Street Fighter 9.50 index class points lead back to Indy, just ahead of Cameron Teasley, unstoppable Vince Hileman, Ron Arnold, and Tyler Fisher. Ken Selner leads Millennium Trailers Super Comp points, followed by Scott Sheppeard, Dustin Lee, August’s Indy Pro ET Big Money winner Bruce Damewood, and Gateway Big Money winner Arnold. Arnold leads M2.Shocks Crazy 8s, followed by the ubiquitous Lee, Travis Kotz, Tylan Beckelheimer, Mitch Pennington, and Wes Brown. Lee leads the way in MPS Pro ET, followed by Thomas Cole, Doug Fisher, Tom Klemme, and England. Jeremy Teasley leads Kevin Dennis Insurance Street ET, followed by Indy Street ET Big Money winner Lee, Steady Teddy Thompson, Brown, and England again. With two races to go, it’s time to make a move in the standings! 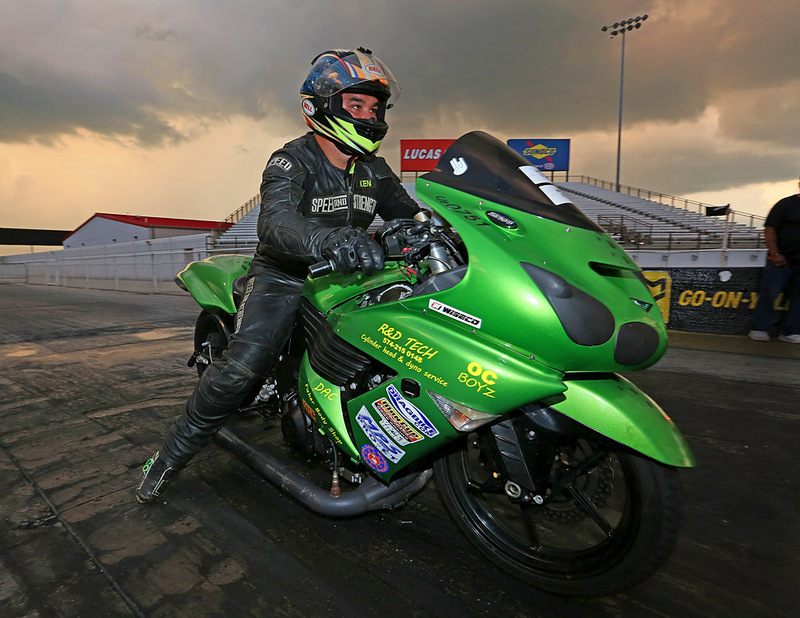 Brian and Niki Welch thank Glenn Grayson and Performance Racing Products for their support and look forward to welcoming everybody back to Indy for NHDRO’s Showdown in Naptown.